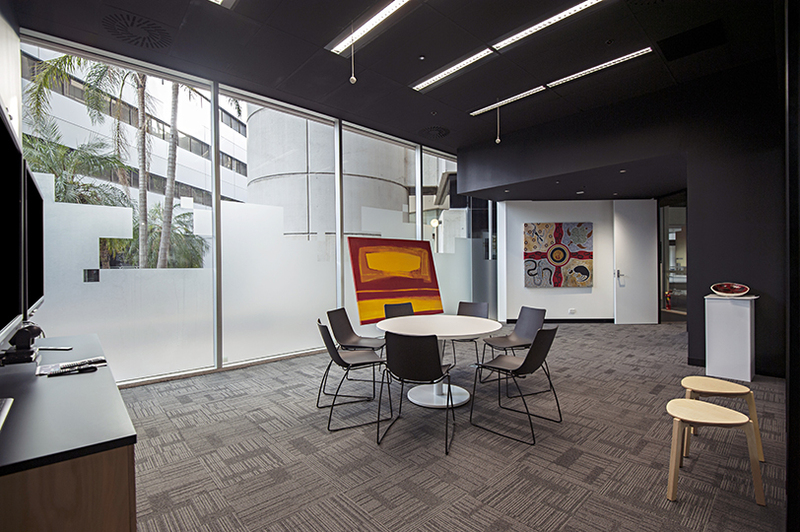 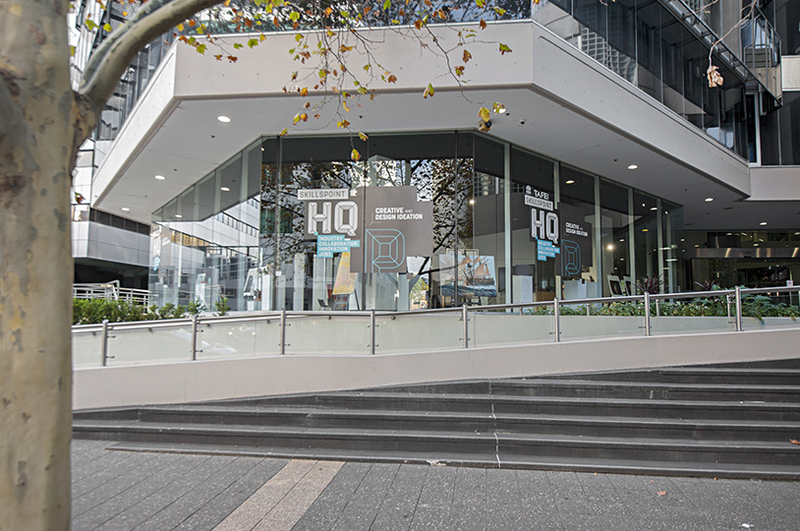 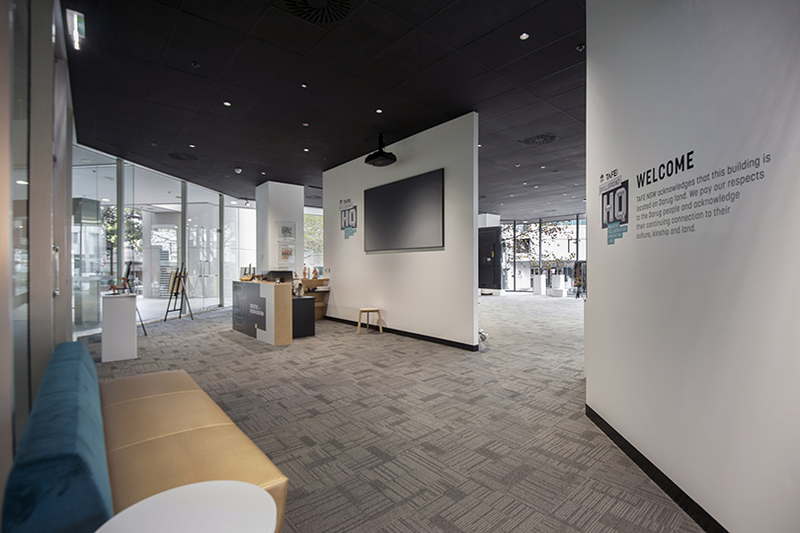 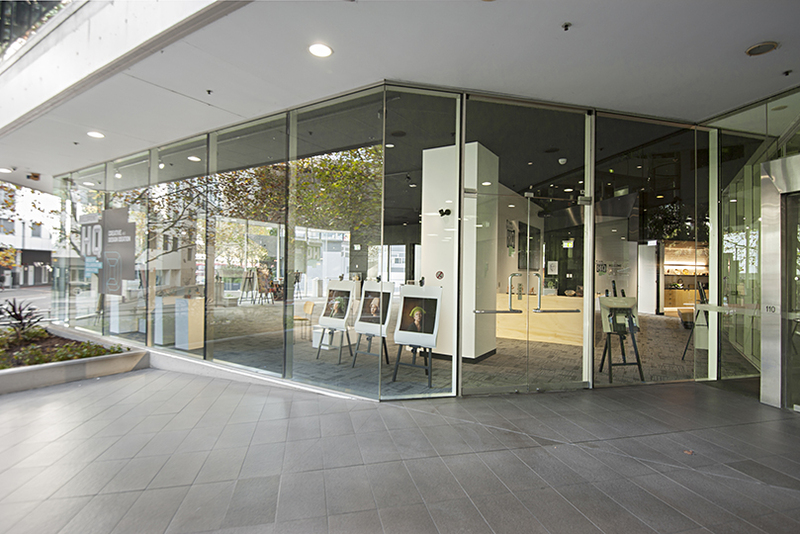 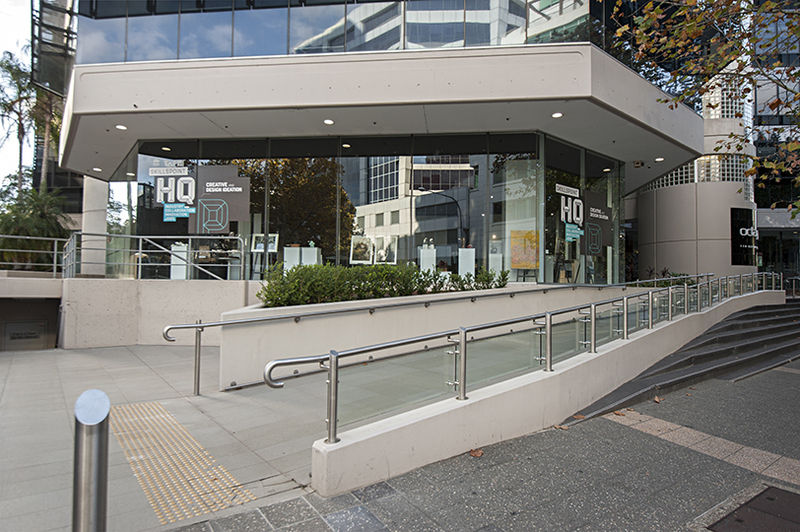 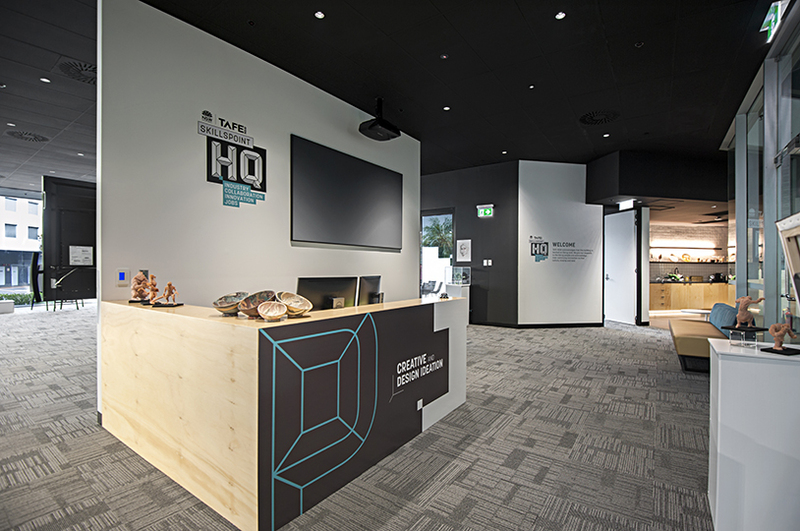 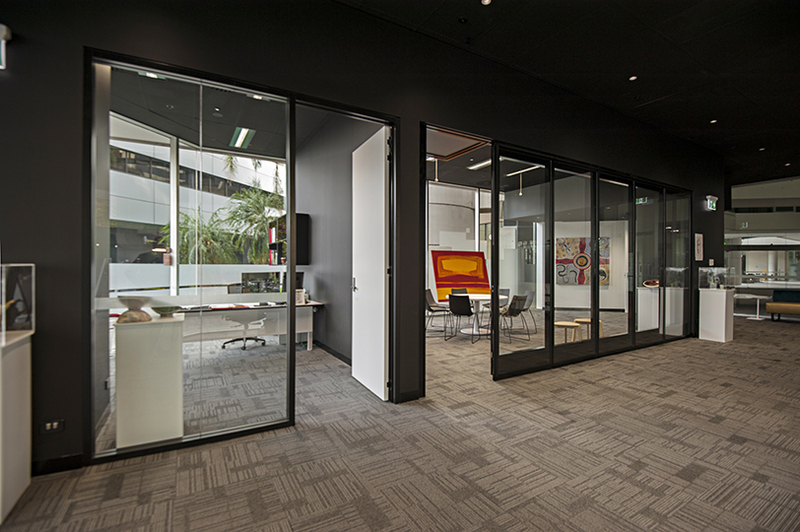 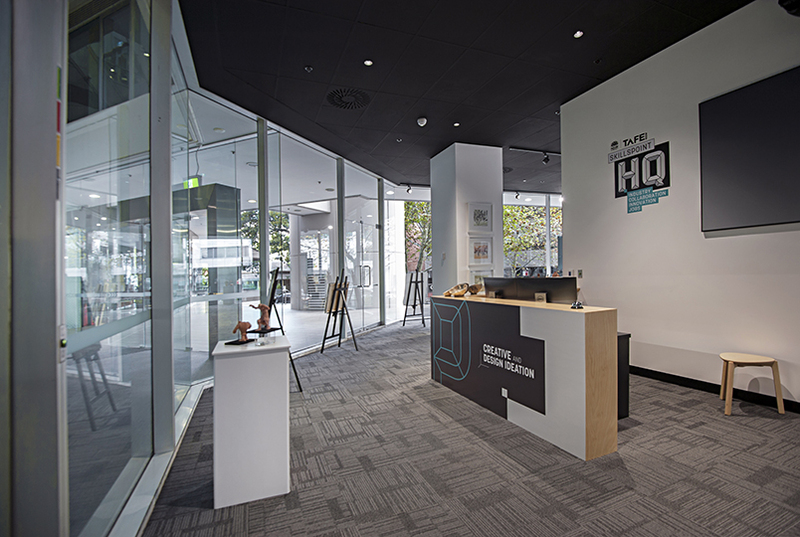 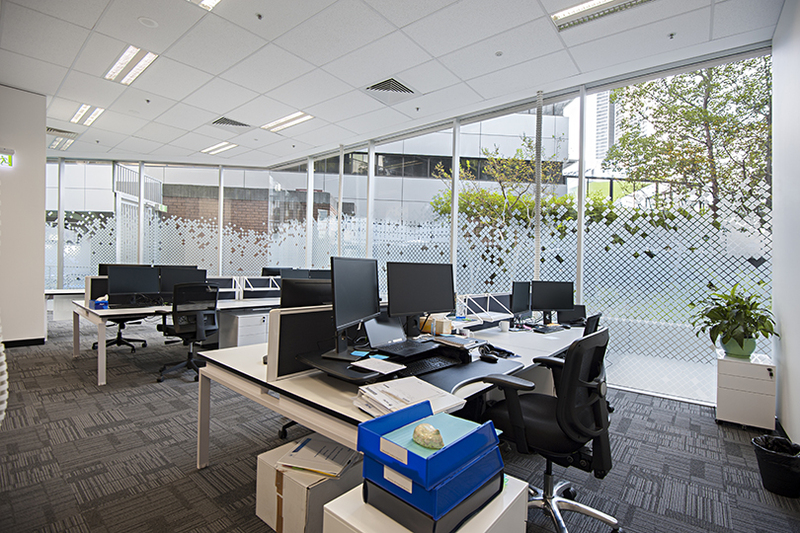 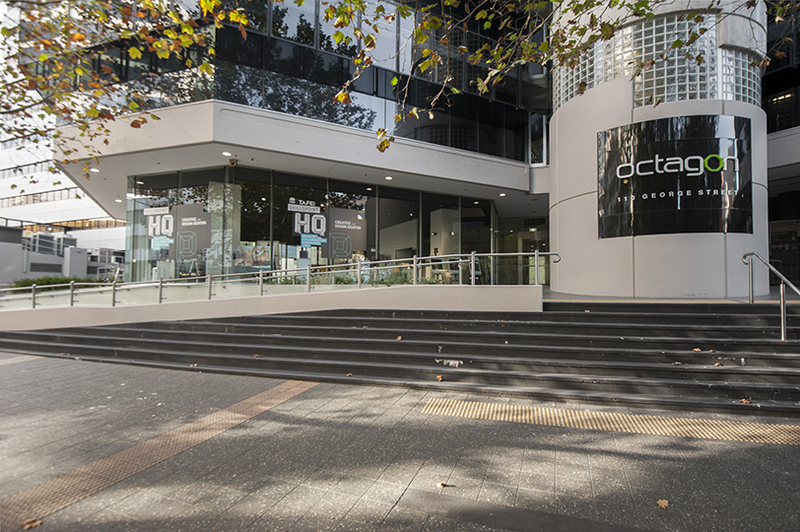 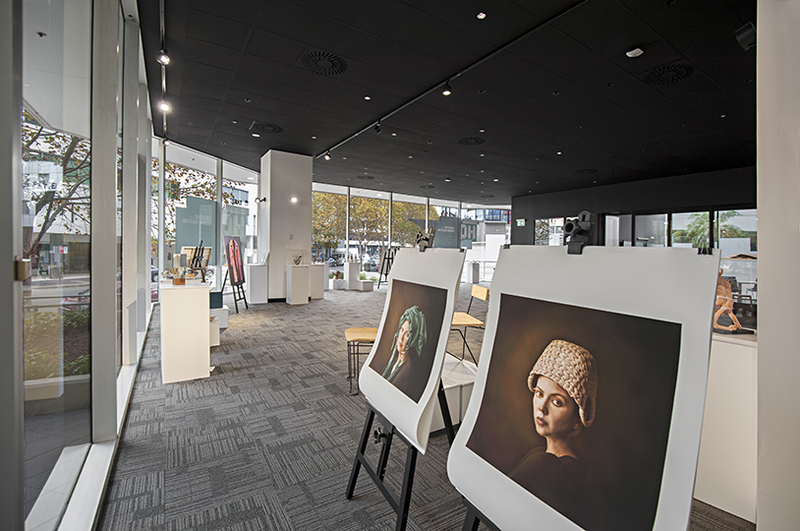 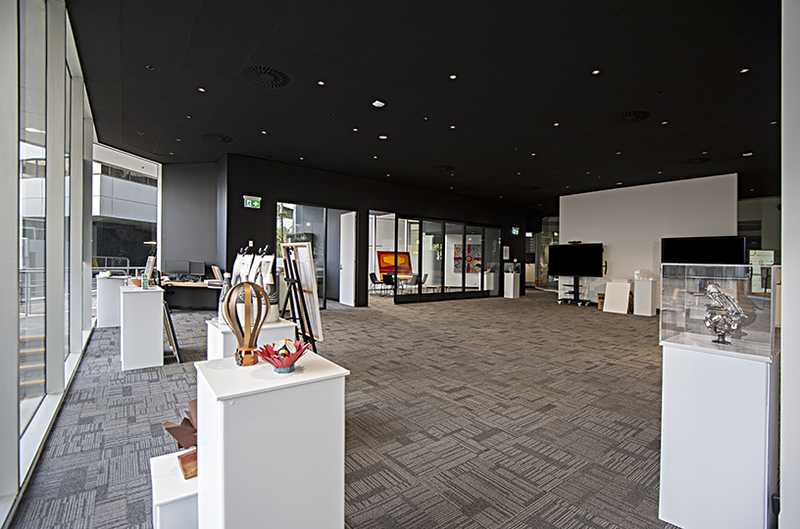 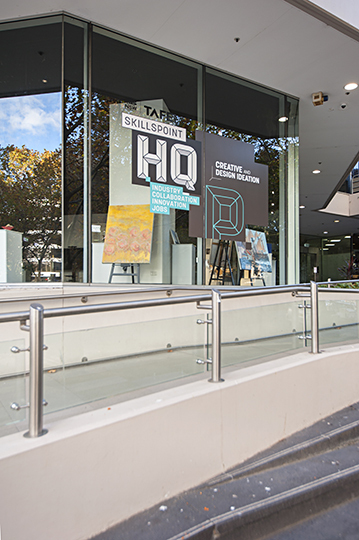 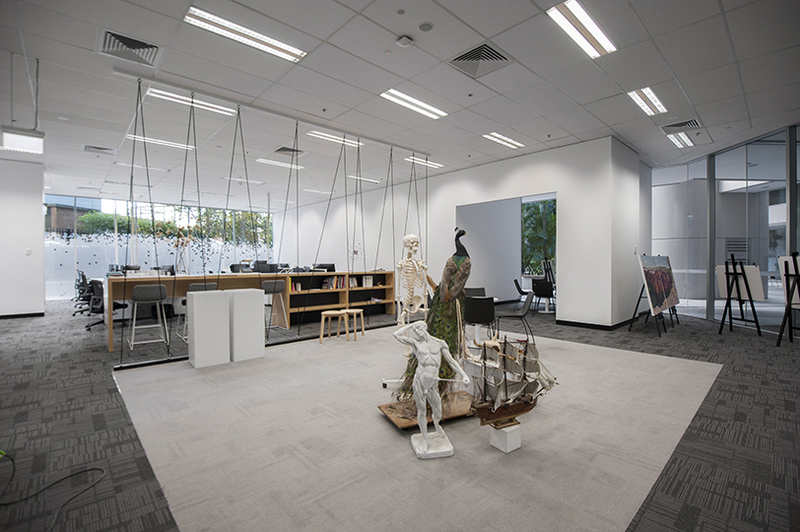 Grindley Interiors were engaged under a Construct Only contract to complete the internal fitout of the existing office space at 110 George Street, Parramatta for TAFE NSW. 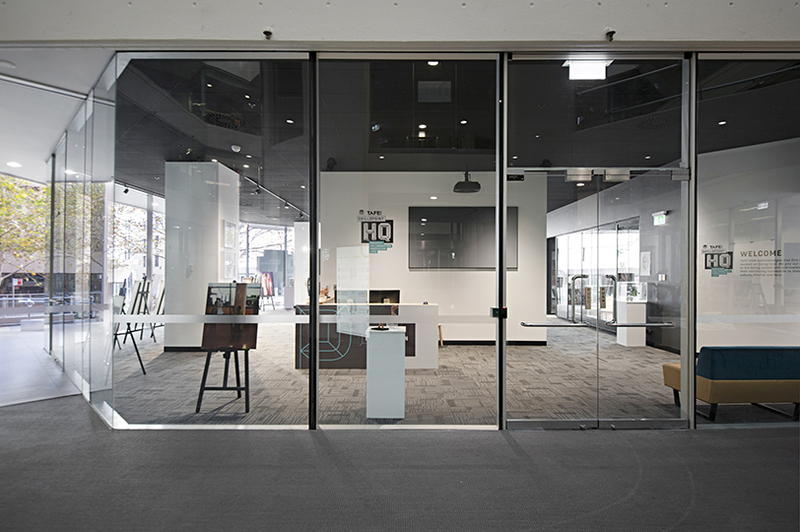 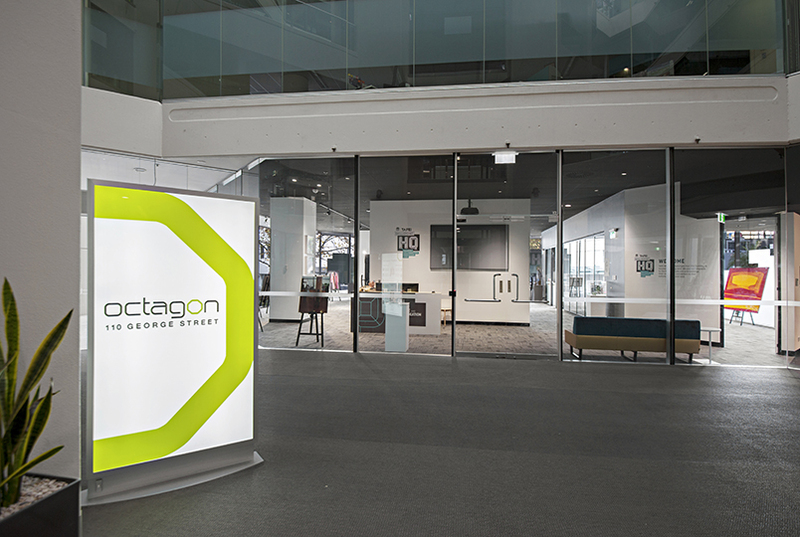 Works involved the installation of partition walls, joinery items and a grand glazed operable wall to create an office, boardroom and reception area within the black pod. 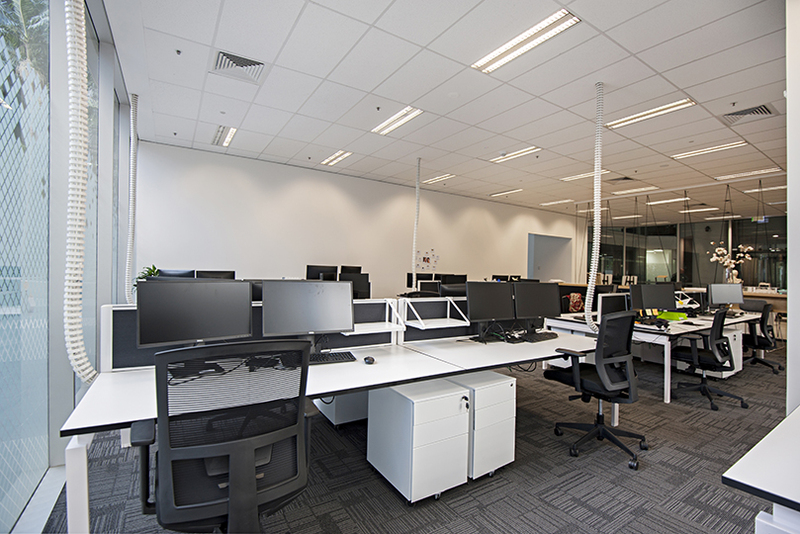 Audio visual systems were also installed to enable electronic displays and conferencing capabilities. 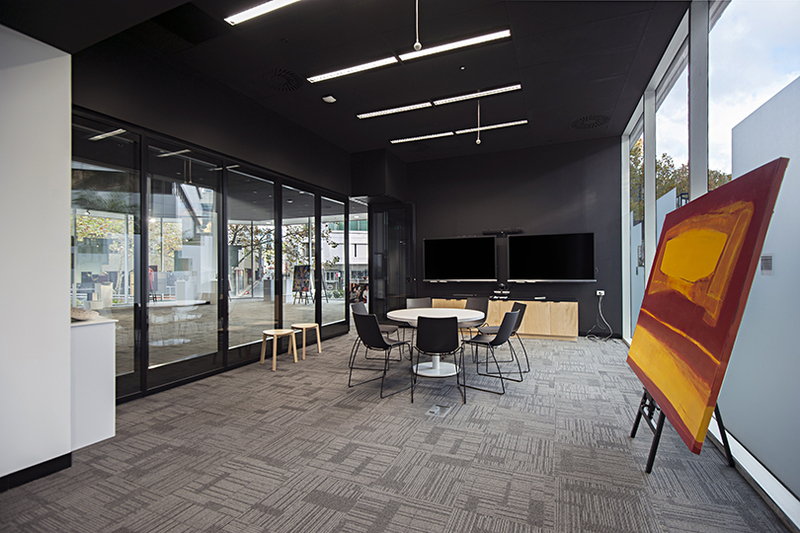 With its high ceilings painted black, this pod offers a sleek and sophisticated space to entertain subject matter professionals. 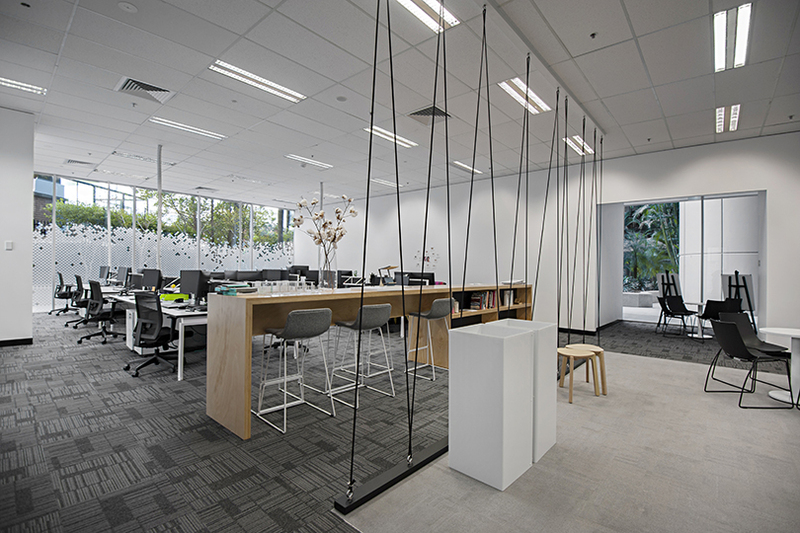 The white pod encompasses staff workstations, a statement joinery piece intended for use as a break out work bench, rope details to separate the space and a utility and storage room. 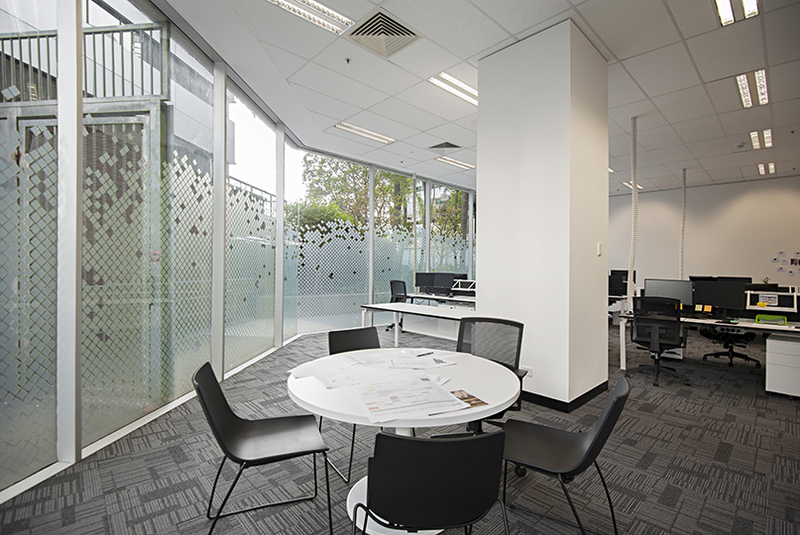 The high ceilings and fresh white paint in this pod create a clean, crisp environment for staff to enjoy. 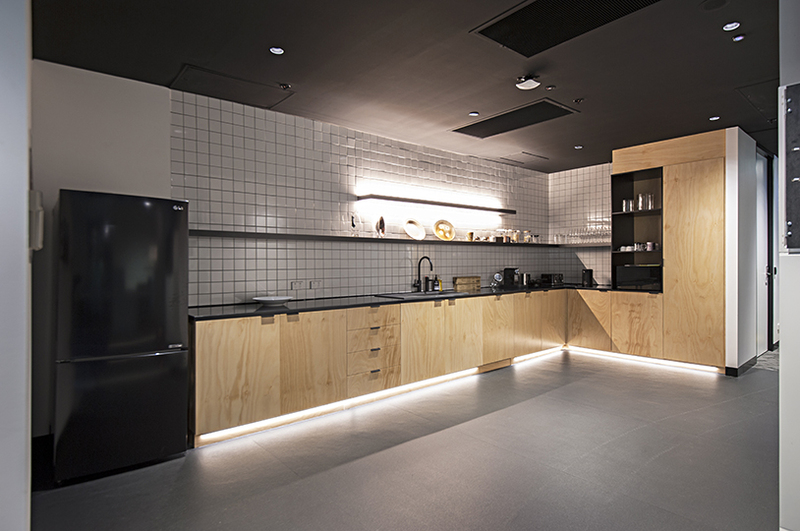 To further support the collaborative environment, a communal kitchenette was reinstated between the two pods providing shared facilities to both areas.